Welcome to a mesmerizing trip through the three flamboyant cities of India - Delhi, Agra and Jaipur, also known as the famous Golden Triangle trip, to cherish the opulent panorama for a lifetime. Be a part of the trip that acquaints you with the cultural, historical and architectural hereditary magnificence of the capital of India, the city of Taj Mahal and the Pink City of Rajput kings. The three cities present an interesting mingle of sophistication, in terms of contemporary lifestyles and requisite tourism luxuries, and a fertile and affluent backdrop of tradition of art and culture. Arrival in Delhi. 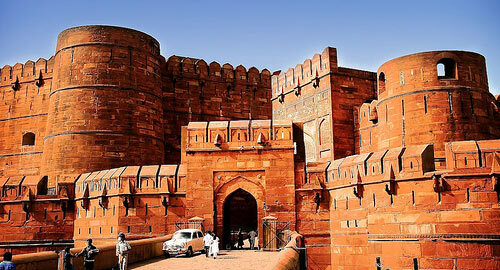 On arrival you will be received by our staff and he will arrange your Transfer and check in to the hotel in Delhi. After breakfast drive to Agra. On arrival check in at the hotel. Afternoon visit Taj Mahal (closed on Friday), a poem in white marble, built by Shah Jahan in memory of his beloved wife, Mumtaj Mahal. Later visit Red Fort. After breakfast drive to Jaipur. On the way visit Fatehpur Sikri. It is a beautiful and deserted medieval city built by Akbar the Great in the 16th century to serve as the capital of his vast empire. The Mughals later abandoned this city for lack of water. On arrival in Jaipur, check in at hotel. Later in the Afternoon visit City Palace, and Royal Observatory (Jantar Manter-1728-34). 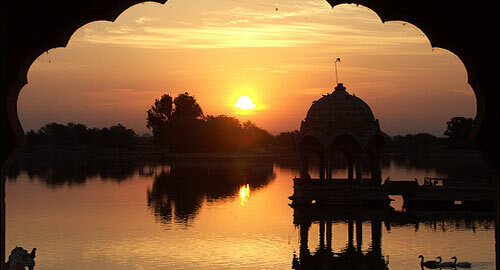 After breakfast, half-day excursion trip takes you to Amber Fort with Elephant ride. En route, make a photo stop at the Palace of Winds (Hawa Mahal). In the afternoon drive back to Delhi. On arrival in Delhi you can have dinner at a good Restaurant, after dinner we will provide the departure transfer to New Delhi International Airport for your onward journey.